Whether he′s dressed in a t-shirt and jeans or dressed in traditional Korean attire, fans can agree JYJ′s Kim Jae Joong looks good in pretty much anything. 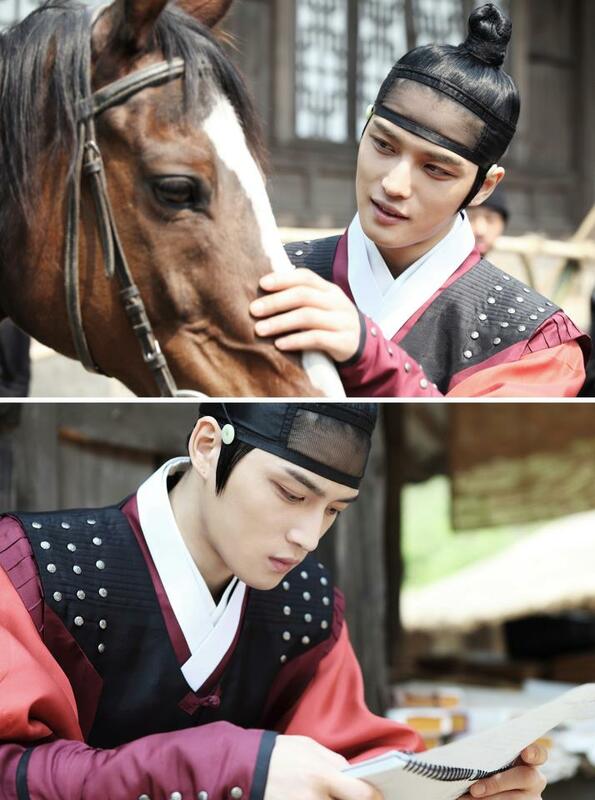 Ahead of the premiere of MBC’s upcoming time warping drama, Time Slip Dr. Jin, new still cuts of Kim Jae Joong have been revealed. Acting in his first historic drama, the pictures showed Kim Jae Joong dressed in character as Kim Kyung Tak from Korea’s Joseon Dynasty. In one picture he interacts with one of the horses that is being used for the drama’s filming, while in another picture he is seen going over his lines. The actor continues to receive the praises of the staff members not only for his good looks but for his hard work ethics on set. Many remarked they expected Kim Jae Joong’s character to receive a lot of love and attention from fans. Time Slip Dr. Jin stars Song Seung Hun, a renown doctor who is transported back in time from modern day to the late 1800’s. The drama will premiere on May 26.